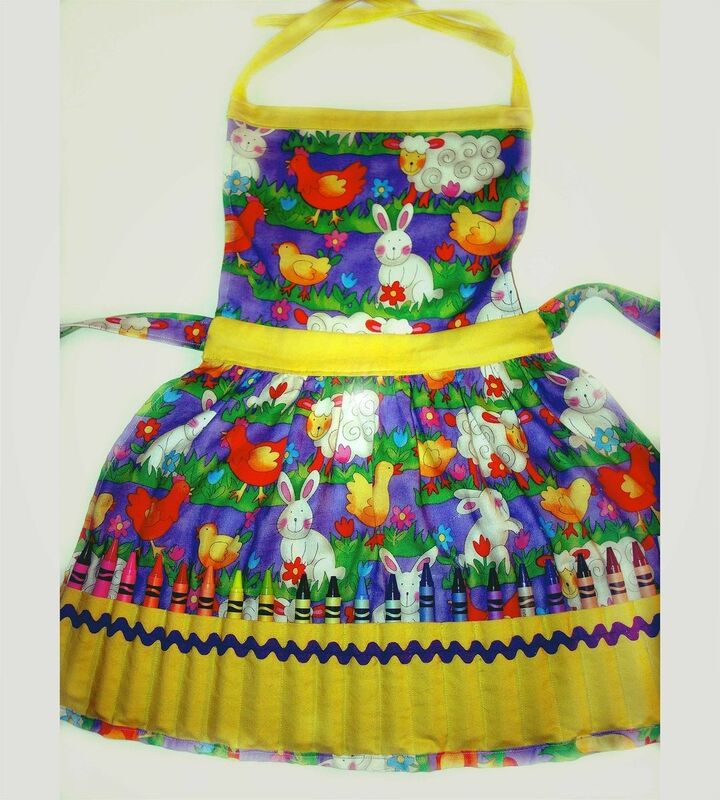 A whimsical play apron with a place for all your favorite crayons! The fabric is a fun animal print that would be great for Easter or anyone who loves fluffy bunnies and cute barnyard animals. Keep those crayons handy for spontaneous fun and creativity.